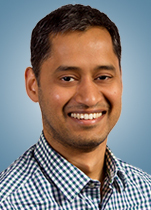 Rakesh Bobba specializes in security for distributed and networked systems. His research interests include access control models and mechanisms, key management, cryptographic protocols, and applied cryptography among others. His current research focus is on the security for critical cyber-physical infrastructures such as smart grids, cloud computing infrastructures and real-time systems. Prior to joining Oregon State he was at the University of Illinois, Urbana-Champaign (UIUC) as a research scientist at the Information Trust Institute (ITI) from 2010 to 2011, and as a research assistant professor in the College of Engineering from 2012 to 2014 with appointments in ITI and ECE departments. His research is funded by NSF, DOE, ONR and AFOSR/AFRL.